The Master of Science in Computer Information Systems program prepares students to manage a software development project from analysis, design, implementation, testing and maintenance to management of quality, budgets, deliverables and deadlines. CIS focuses on the relationships between companies and their information systems and making them run as smoothly as possible. Most companies have IT departments or experts on staff. Students develop or deepen skills to analyze, design, implement and test stand-alone and embedded software systems. Two courses are taken from the Greehey School of Business. 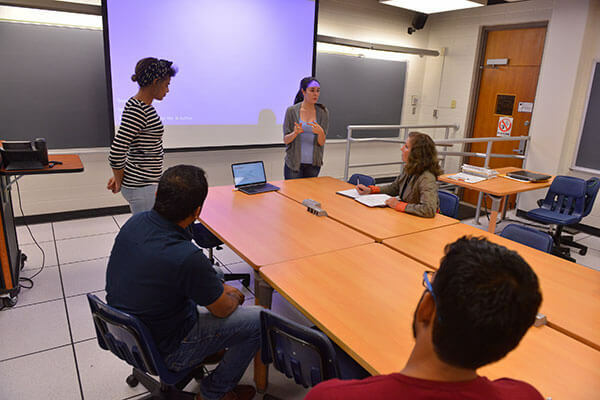 CIS students take 33 hours of course work and choose between a thesis or a project. The department also offers a combined Bachelor’s and Master’s degree in Computer Information Systems that can be completed in as little as five years. An intensive course of study, undergraduate students begin graduate course work during their senior year. The Master of Science in Computer Information Systems is sometimes offered off-campus at various locations, and some courses are offered in a hybrid or online format. Typical employers include computer companies, research and development laboratories, educational organizations, entertainment industries, aerospace contractors, financial institutions, telecommunication sector, and government agencies. Applicants should have taken programming classes including data structures and object-oriented programming. Prerequisites include computer programming skills, mathematical maturity and current, relevant technical knowledge.